Looking for Welcome banners in bollywood style? Contact us on mobile no. +919022034923 or +917666866256 or MAIL US ON: bollywoodpostersstudio@gmail.com .Bollywood posters studio offers you the best customized welcome banners in bollywood style with its unique technique of hand painted art. Bollywood posters studio offers unique design with Bollywood style truly hand painted on canvas. Our expert team of Bollywood poster will custom paint your faces in any movie poster of your choice. Make your most exquisite and exclusive customized Bollywood wedding posters with our old Bollywood movie poster artist. We also supply the high resolution digital scan of the painting. You can print the digital photograph in any size you want. Make your never seen before personalized and customized Bollywood poster. Make your customize welcome banners in bollywood style and amaze your guests. Our artsit will paint your customized Bollywood posters using artist quality oil paints and acid free canvas. To make your own customized Bollywood wedding posters will give you two benefits one is it can convert the painting into any number of digital photos and the other is that you can proudly display at your party and have your guests pose against it. You can be the diva with the magic of brush. Bollywood posters studio strive through our entire process to create unique product that invite warmth and style to your event. Make your rich and luxurious eye popping posters with one of the finest hand painted Bollywood posters artist at Bollywood posters studio, Mumbai. at very affordable rates. Feature yourself in any of your favourite movie and make your dream come true. The most attractive and unique customized gift for the memorable occassions like birthday anniversaries, sangeet ceremony, wedding invitation cards in Bollywood theme. Bollywood posters studio is specialize in making events, cutouts, wedding backdrops with one of the unique way hand painting on canvas with oil paints. Bollywood posters studio is an ultimate online website to make your dream come true of being a Bollywood star. 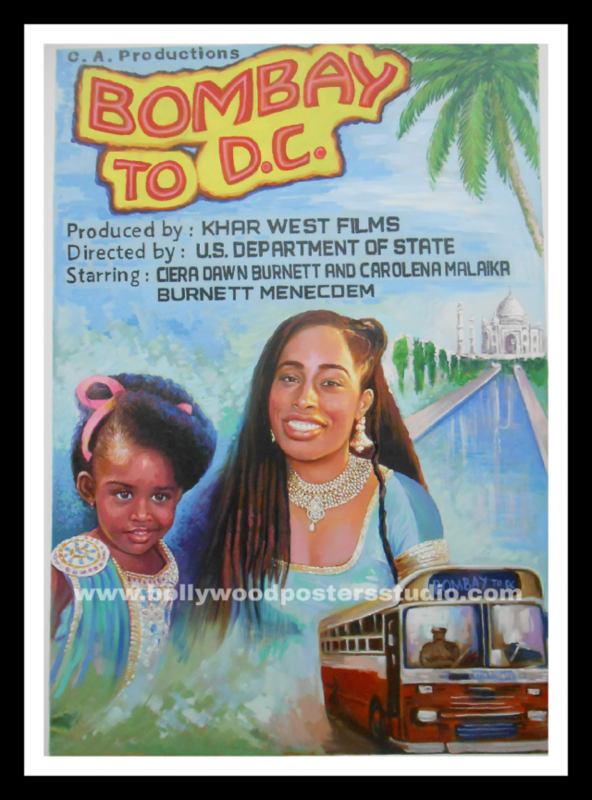 Hand painted Bollywood style banner and poster that can be reproduce on a host of formats for invitation, backdrops poster. Customized Bollywood poster is the dream of everyone. Make your eventor party a big hit with custom Bollywood poster and create the greatest rememberance in mind of your guest.